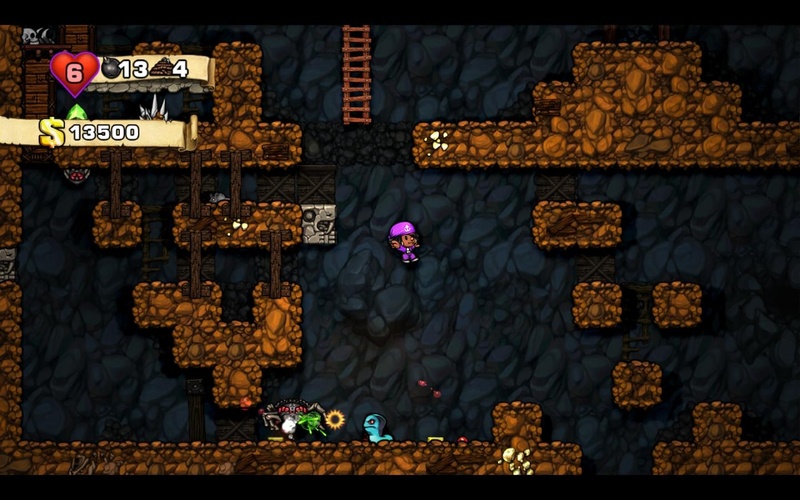 I have to say I wasn’t 100% convinced about this HD remake of Spelunky. Yes, they updated the graphics, but that wasn’t an unambiguously good thing; the old (free) version was a rare example of pixel art done right and I was afraid that while going HD would bring a lot more detail the game would lose a lot of its charm. Similarly I had my doubts about the XBLA-first release, since this meant a focus on controllers over keyboard and I didn’t think the excellent keyboard controls would translate that well to an analogue control system. This is why it’s taken me a month or two to pick Spelunky HD up after its Steam release; despite the pedigree and proven talent of its designer, Derek Yu, I was a bit nervous that it’d just turn out to be the latest overhyped indie darling game that gets all but forgotten within a month of release.